Over the past year I noticed that I transitioned a lot more neutral into my wardrobe. I wear a lot more black, a lot more beige, (barely any white though because of my spray tanning - even though I love white!) and all around got rid of some of the jewel-toned clothing that I used to gravitate towards. 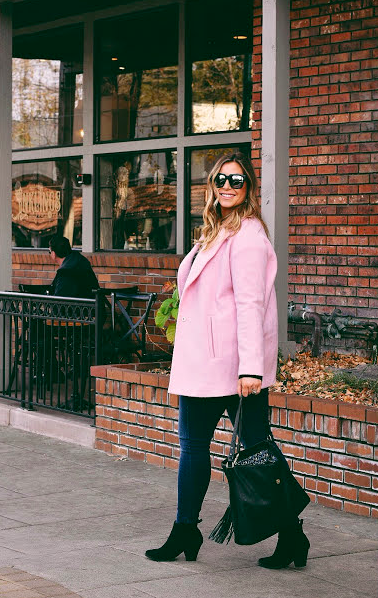 This pink coat I got from Lulu's a few seasons ago, and as soon as I saw it I knew it was worth the money and the slight splurge - and it's lasted me well and is constantly a coat I know I can pair so many ways. When I shop for a coat, I need to buy a size up usually because I have broad shoulders and want a coat I can move around in, throw my purse over my shoulders, or hug my hubby in - I'm not about those coats that are super fitted but you can't move your arms at all! This pink coat is wool, and not only keeps me warm, but wards off stains and doesn't seem to get messy easily at all. I think this coat would also be really cute with high-waisted jeans and ankle heels, with a white t-shirt and a cute beret. Here, I wore it with a black Madewell sweater, Quay oversized mirrored sunglasses (currently half off! ), black booties and my favorite Hudson jeans. What are your thoughts on pastels in the winter? 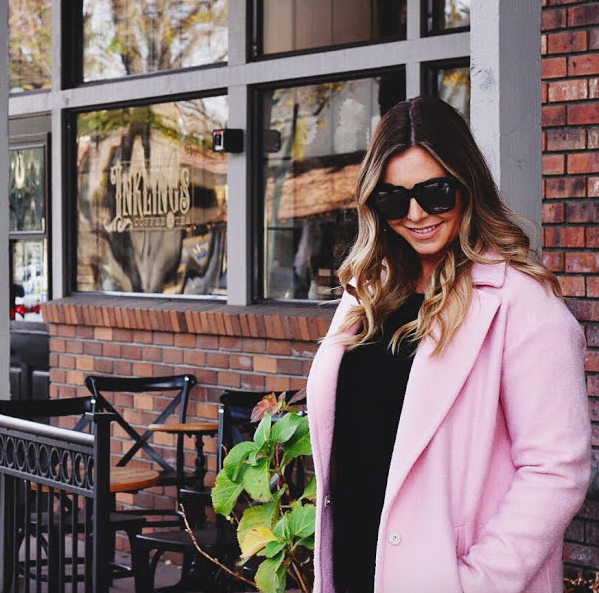 Do you love a pink coat or another pastel-color? Shop a few similar styles below!